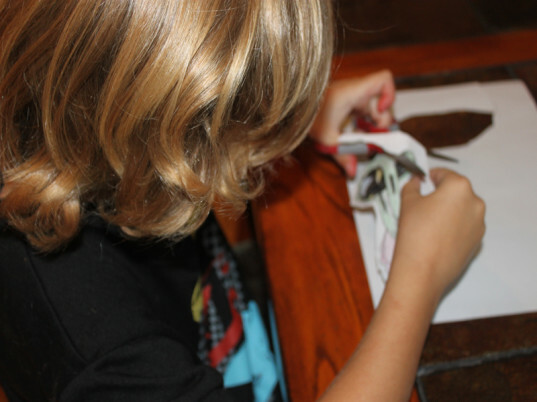 Give your child a stack of recycled paper and eco-friendly colored pencils and ask him to create a design to go on the inside of the pop-up card. 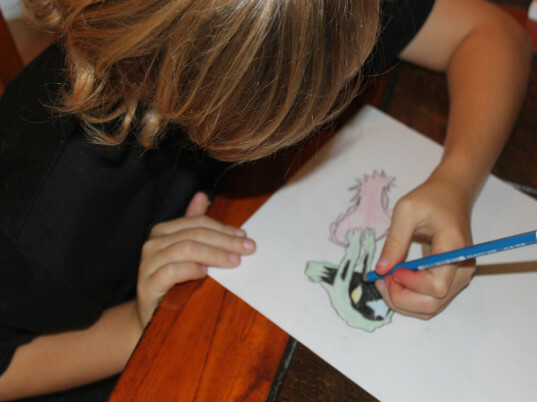 Have your child cut the design out with child-safe scissors. 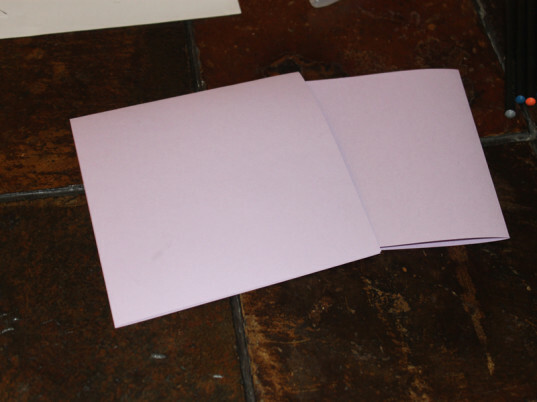 Fold your card stock in half to create the body of the card. 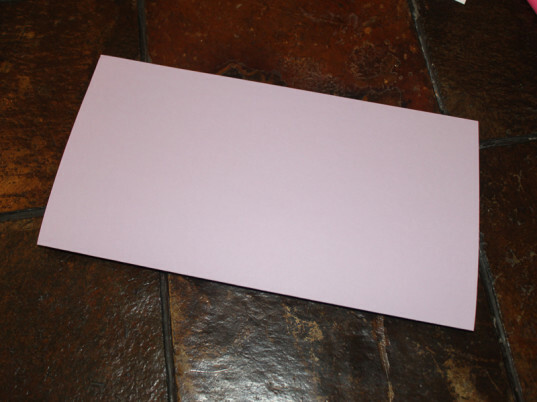 Cut the card stock down to a size that will fit inside of your envelope. 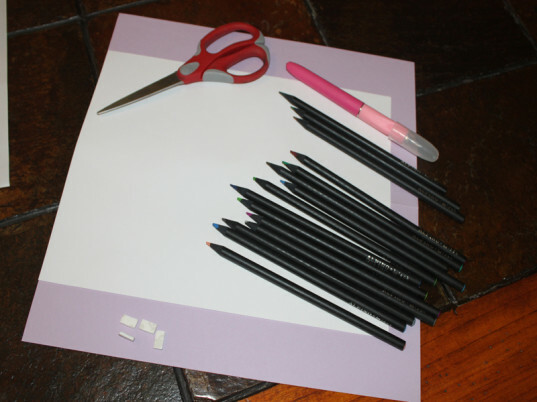 Use your cutting tool to cut two symmetrical lines wherever you want an element of your card to pop out. You won’t want to cut the lines more than the length of your card, or your card won’t close properly. 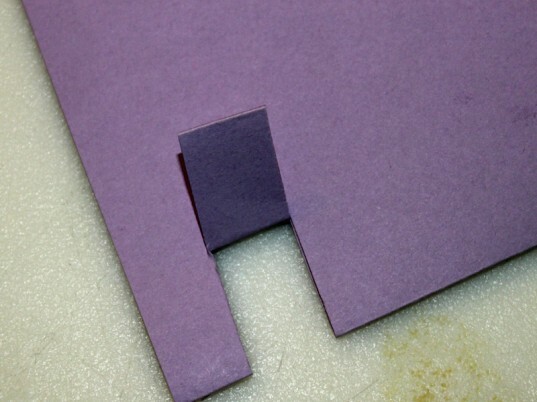 Fold the cuts, then unfold so they are again flush with the card. Reopen the card. 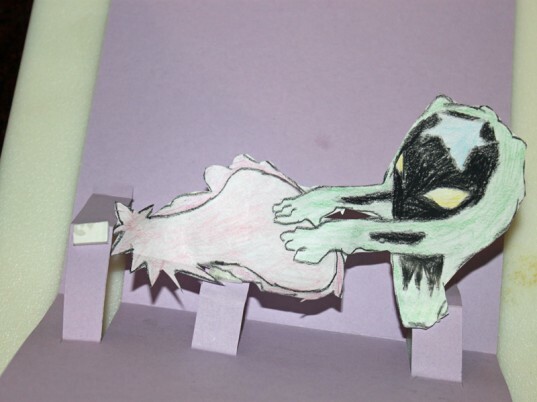 Using glue or double-sided tape, secure your child’s picture to the inside of the card. 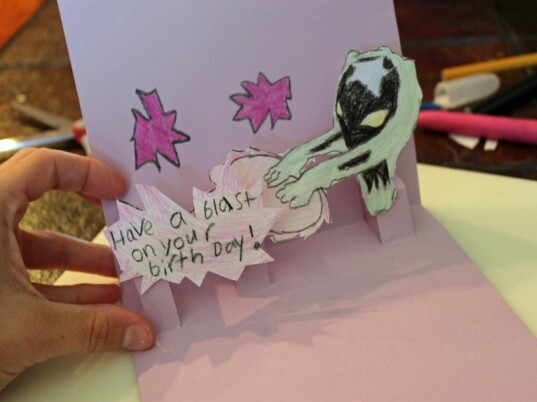 Give your child creative control and allow them to add any other design elements to the card. 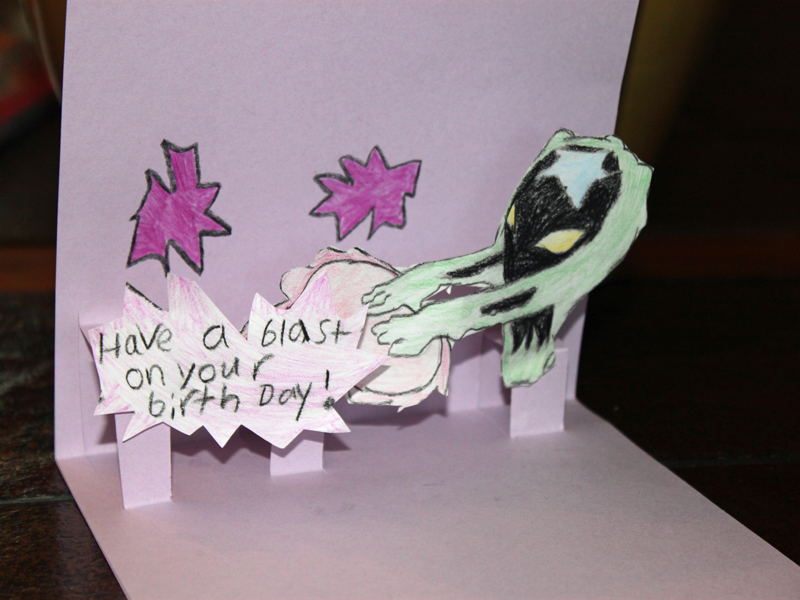 Encourage your child to give the card to a friend or family member and watch them smile with delight. 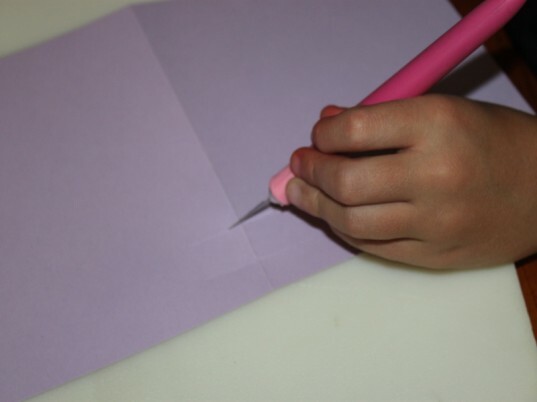 Use your cutting tool to cut two symmetrical lines wherever you want an element of your card to pop out. You won't want to cut the lines more than the length of your card, or your card won't close properly. 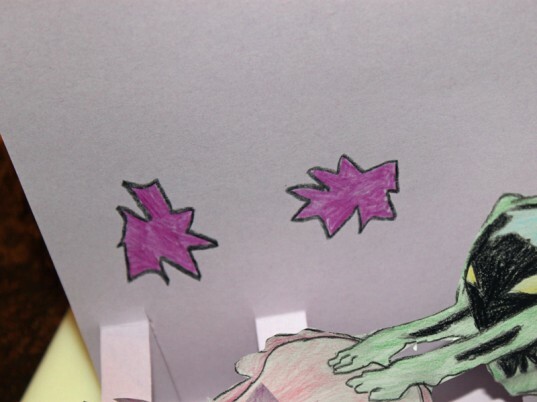 Using glue or double-sided tape, secure your child's picture to the inside of the card.